Divine Mercy prayer group from New Orleans, Philadelphia, and Oklahoma invites you to join their pilgrimage to Fatima, Avila, Lourdes, Paris, and Krakow. This is an inspirational journey to Our Lady in Fatima, Lourdes to St. Teresa in Avila and then to Our Lady of Miraculous Medal chapel in Paris. The pilgrimage will end with the prayer at the Divine Mercy Convent with the St. Faustina to Merciful Jesus. We can't visit Poland without visiting the Black Madonna in Czestochowa and Wadowice the birthplace of Pope John Paul II, St. John Paul II - The Joy of Prayer is what we hope we will ignite here! Intercontinental flight to Lisbon in Portugal. Meals served on board the plane. 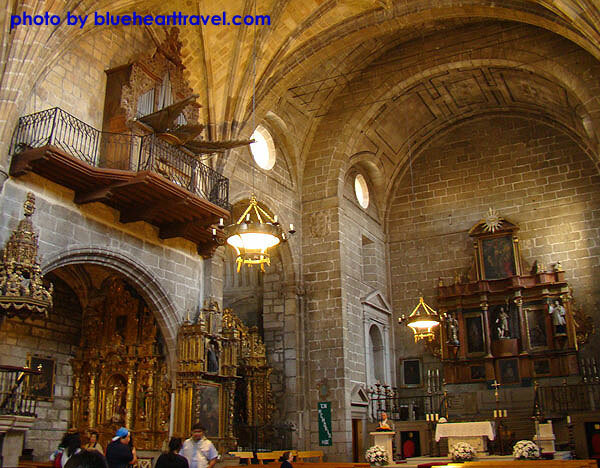 Upon arrival to Lisbon airport, your guide will meet with you and group will immediately proceed to the city center, visiting the birthplace of Saint Anthony, today it is a church built over the house where the saint was born. Nearby is the Cathedral that we will also visit before we head to have a panoramic tour of Lisbon sightseeing all the landmarks of this fascinating city. On the way to Fatima, we will stop in Santarem, Eucharistic Sanctuary one-hour drive from Lisbon. Here we will hear the story of the event of which we can witness in St. Nicholas church! 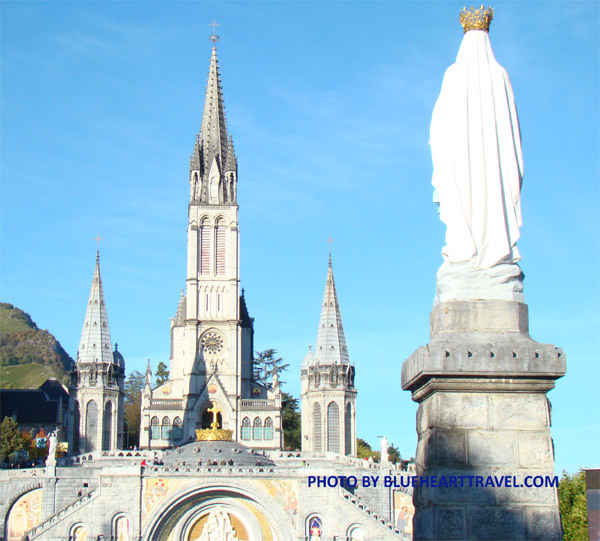 After the visit, you will continue to Fatima, to Marian Sanctuary where Our Lady appeared to 3 shepherds in 1917! Dinner and overnight in the hotel in Fatima! 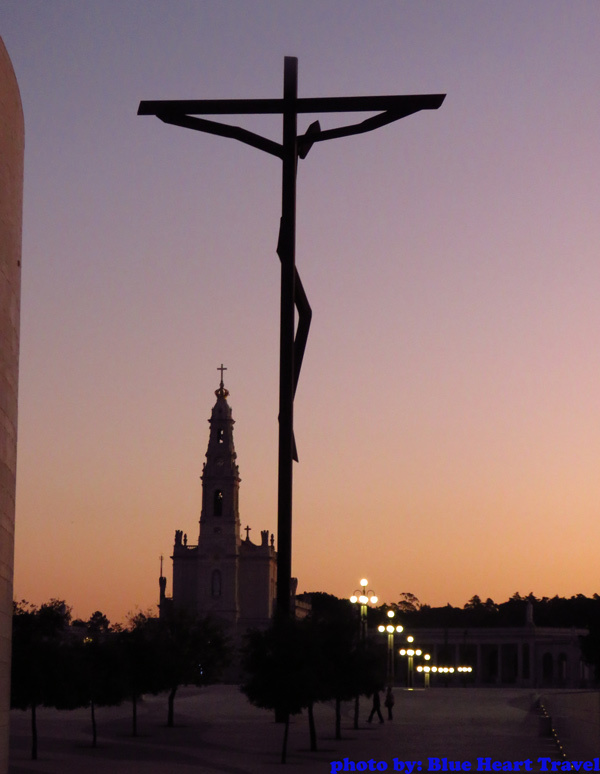 Today, the first morning in Portugal, the group will head for the visit of places connected to the apparition in Fatima. Tiny village Aljustrel, home of visionaries, pasturage at Valinhos where Our Lady also appeared and to the Cova da Iria, the actual place of the apparition where Our Lady of Fatima gave a message to the world through Jacinta, Francisco, and Lucia. Holy Mass in one of the chapels in the Shrine. 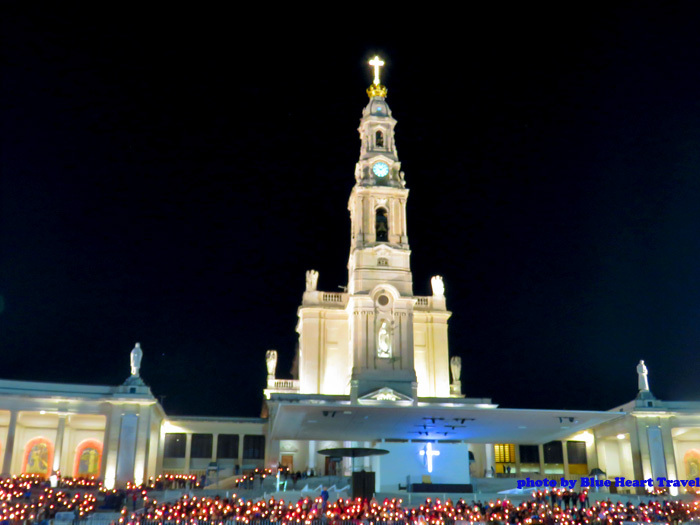 Dinner and overnight stay in Fatima. Today after morning Mass group will have a chance to pray The Way of The Cross - optional! Free time for personal devotions, lunch, shopping before another beautiful evening Rosary prayer and candlelight procession to Our Lady of Fatima. Dinner and overnight will be at Fatima hotel. Group will leave Fatima today and head towards Spain, to Avila, to St. Teresa. In the medieval town embraced by the city walls group will have a chance to, during the walking guided tour, hear about the life of Saint Teresa & Saint John of the Cross. We will visit her birthplace, today church of St. Teresa and the museum dedicated to the Saint. After visit and lunch break we will continue towards a city of Palencia, check in to hotel, dinner, and overnight. 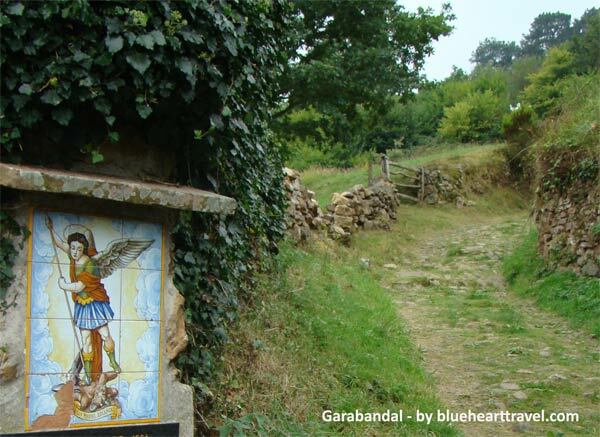 Today after breakfast in Palencia, the group will leave for Lourdes, via Garabandal (San Sebastian de Garabandal). In this small village high in the mountains, we will visit the site of the apparition to four children of Michael Archangel and Our Lady. According to their words, those events took place on several occasions from 1961 to 1965. The same afternoon we will continue to Lourdes. Arrival to Lourdes is expected at the time for dinner. Time permitting, we can participate in the Candlelight procession to our Lady of Immaculate Conception. Tonight, we are in Lourdes. This morning private Holy Mass with the priest in the group before we start the walking tour of the shrine and town of Lourdes! Visiting the Grotto of Massabielle where Blessed Virgin appeared 18 times to Bernadette Soubirous in 1858. Group will also see The Baths, where one can emerge in the Lourdes miraculous water. A guided tour will also include The Basilica of Immaculate Conception and Crypt visit to all of the places associated with the St. Bernadette. The Bolly Mill on Rue Bernadette Soubirous where the saint was born on the January 7th, 1844 and it is the place where she spent first years of her life. Group will also visit “Cachot,” a jail where Bernadette lived with her family in great poverty at the time of the apparitions. Afternoon and time for lunch will be on your own. Free afternoon until dinner and in the evening group can participate in the candlelight Marian procession starting every day at 9:00 pm. Lourdes hotel, dinner and last night in the Shrine of the Immaculate Conception! Today after the breakfast and the Holy Mass for our group pilgrims will be free most of the day enjoying the Lourdes Sanctuary on your own, visiting the Baths, private devotions, shopping, lunch. In the evening Candlelight procession & Rosary! Dinner and last overnight in Lourdes. Early morning train, fast TGV train to Paris. Arrival to Paris in the early afternoon! 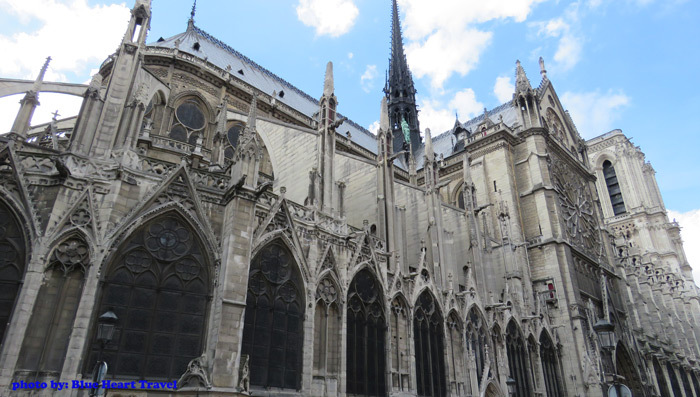 Panoramic city tour of Paris and time permitting, Holy Mass before you check in to the hotel, dinner, and overnight in a hotel in Paris. Today’s program in Paris will depend on the TGV train schedule. Today after breakfast we visit PARIS and will celebrate Holy Mass at the Chapel of Our Lady of the Miraculous Medal, hosting the tomb of St. Catherine Labore. Just across the street, we will visit the church of St. Vincent de Paul founder of Daughters of Charity, order St. Catherine belonged to. 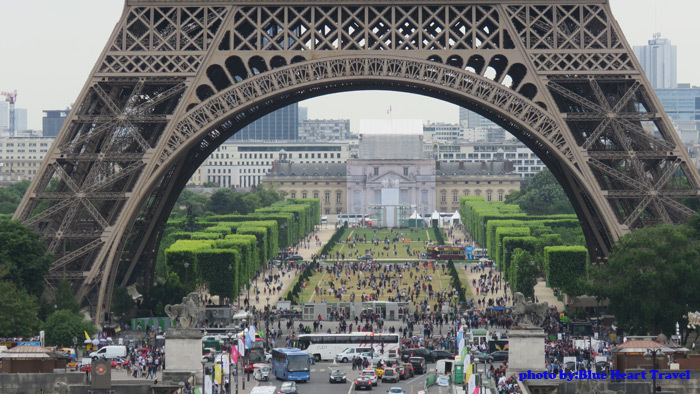 Our panoramic sightseeing of Paris by bus will include Arc de Triomphe, Champs Elysees, the Eiffel Tower, Notre Dame including the few stops, one at Basilica of Sacred Heart (La Basilique du Sacre Coeur) for a photo option (only places group didn’t have a chance to take photo of the day before). Afternoon free time for shopping and lunch before the night cruise on the River Seine, about 2 hours cruise! Dinner and overnight in Paris! Free day in Paris – optional Holy Mass in the morning before the group is released. Pick up in the early evening before returning to the hotel! Dinner on your own! Transfer to Toulouse/Pau International airport – flight to Poland, Krakow. Same day group will stay in a hotel in Krakow! In the morning visit of Krakow, sightseeing tour including the Main Market Square with the Cloth Hall, St. Mary’s Church and Wawel Cathedral with Royal Tombs. 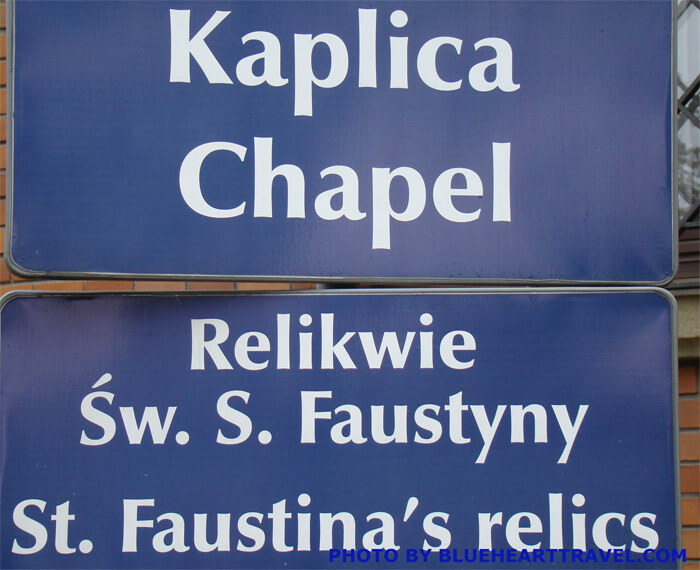 Same morning you will drive to the Congregation of Sisters of the Divine Mother of Mercy in Lagiewniki, (part of Krakow) with the tomb of Sister Faustina, she worked and died here. After a lunch break, we are going back to Krakow, where the group will have some free time before the Polish dinner. 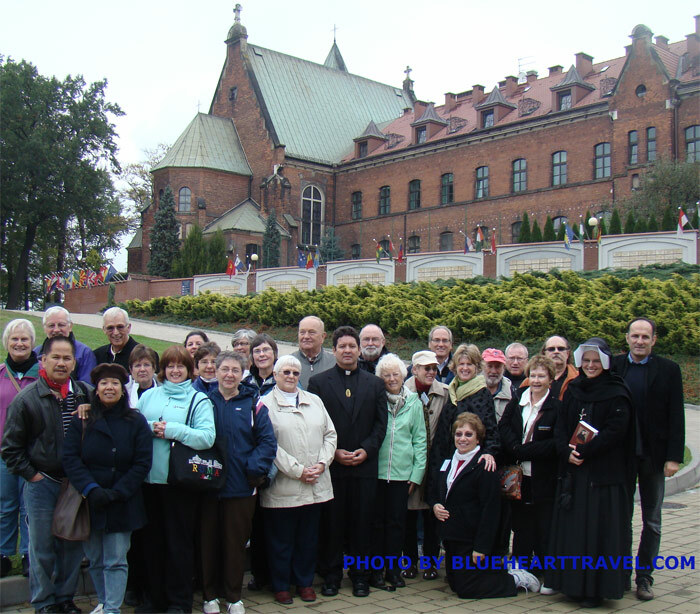 In the morning group will leave for a whole day excursion to Black Madonna in Czestochowa, in the monastery Jasna Gora. Here you will have a guided visit and Holy Mass! After some free time and lunch break group will leave back to Krakow via Wadowice, the birthplace of Pope John Paul II, St. John Paul II! Visit here will include the museum dedicated to Karol Wojtyla, where one can follow the timeline, an amazing history of this Saint! After the visit, we will be going back to Krakow, dinner and the last night of another beautiful Catholic Pilgrimage. Early morning transfer to Krakow International Airport, flight back home! THIS PILGRIMAGE IS DESIGNED FOR A CHURCH GROUPS ONLY - QUOTE UPON REQUEST! Travel insurance - STRONGLY RECOMMENDED – Group Travel Insurance will be offered! church groups, parishes, and agents inquiries are welcomed!